RAASA is proud to introduce the 2017 interactive and comprehensive Special Air Events Seminar. The Annual Special Air Events Seminar will be taking place on Saturday, 04 February 2017 from 08:30 till 15H00 at Rand Airport. - Display Authorisation Committee and Display Authorisation Examiners - Airshow Safety and Standards. #	Attendance of this seminar is compulsory for all Organisers, FDD and Airside Safety Personnel, Display Authorisation Examiners and Display Pilots wishing to organise, plan or participate in Special Air Events during 2017. #	All ARO section leaders Chairman or appointed representatives involved in SAE planning, organising or managing events and competitions. For more information email tania@raasa.co.za by the 20th of January 2017. THIS SEMINAR IS HOSTED BY RAASA, TO IMPROVE QUALITY AND SAFETY IN THE TRAINING ENVIRONMENT. 11: Rand Airport Challenge. Please remember to book online at http://www.sapfa.co.za/index.php/component/competition/?view=pilot in order for us to adequately cater for the numbers. Contact: Contact Frank Eckard email: frank.eckard@mweb.co.za cell: 083 269 1516. Quest Aircraft Company is pleased to announce that it has signed a major fleet order for up to 20 aircraft. The agreement was signed at the recent National Business Aviation Association Convention (NBAA) in Orlando, Florida. The first aircraft was delivered last month to the customer, who is located in Japan. "We are very excited to have completed such a large order for the Kodiak," said Nick Newby, Senior Vice President, Sales, Marketing and Customer Service. "While we have had other fleet sales for multiple Kodiaks, this represents our largest commercial fleet order to date." The aircraft ordered will be used for a new membership-based private travel service that was officially launched November 7. The Kodiak's rugged aluminium construction combines superior STOL performance and high useful load. With powerful turbine performance, the aircraft has the ability to land and take off from unimproved surfaces and is capable of working off floats without structural upgrades. The Kodiak can take off in under 1,000 feet at full gross take-off weight of 7,255 lbs and climb at over 1,300 feet per minute. These attributes make the Kodiak extremely well-suited for use in Japan where the topography and private transportation infrastructure can be challenging. The aircraft's versatility, along with its roomy cabin, also makes the Kodiak perfect for individuals and companies who want guaranteed access to comfortable, efficient and reliable transport. The new private air charter service, known as SKY TREK, plans to begin flying trips in spring 2017. Both corporate and individual memberships are available. Kodiaks are in operation around the world in over 20 countries in key market segments including personal use, Part 135 operations, and government and humanitarian organizations. The Kodiak has received 23 certifications covering 33 countries, with several additional certifications imminent. World medallist Kenny Chiang will open a new chapter in China's motorsport history in 2017, when he becomes the first pilot from his country to compete in the Red Bull Air Race. 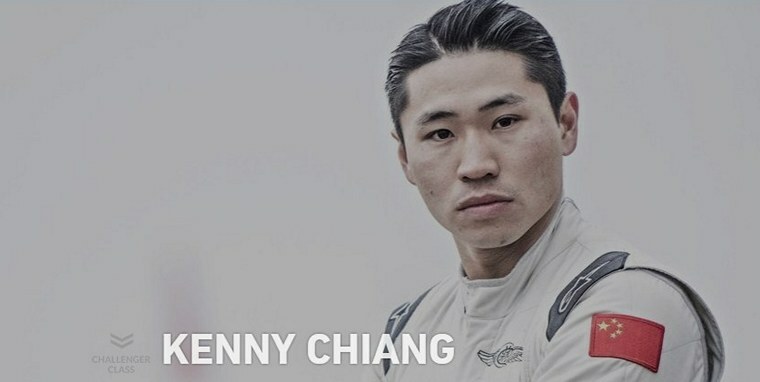 Chiang will be joining the Challenger Class along with two more international newcomers - Daniel Genevey of Hungary and Baptiste Vignes from France. The charge for the Challenger Cup in 2017 will feature nine contenders from eight countries, with three new additions including the first pilot from China ever to fly in the Red Bull Air Race. Among the fresh faces is Hong Kong native Kenny Chiang, who has already claimed Asia's first World aerobatics medal and is keen to expand his skillset with the discipline of Air Racing. 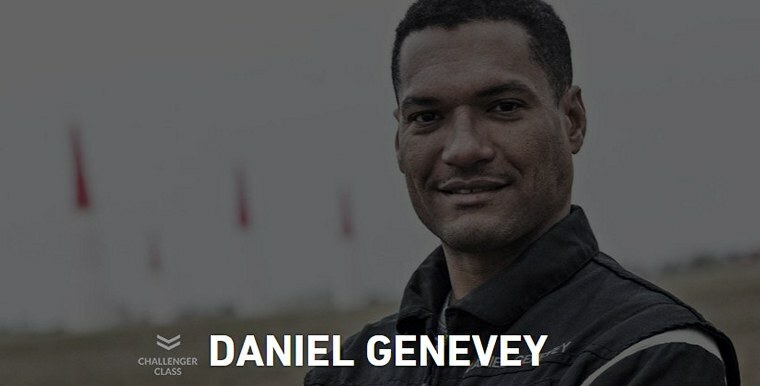 Another newcomer, Daniel Genevey, is a member of the Hungarian Aerobatic Team who ranked among Europe's top 10 in only his second year at the highest level of aerobatic competition, Unlimited, and additionally won a French National Advanced Championship. 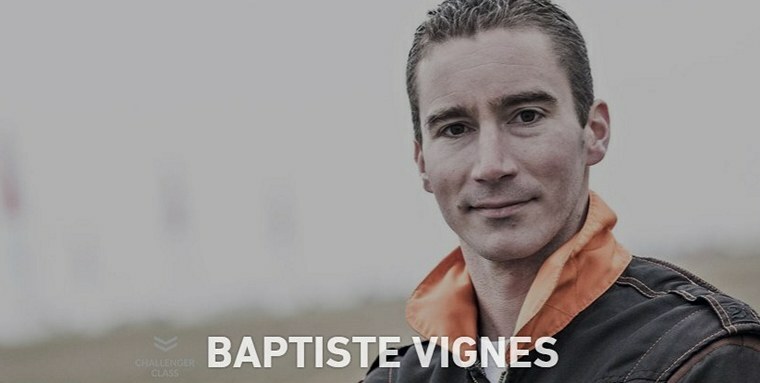 Also joining the Challenger Class is Baptiste Vignes of France, who holds three Advanced World Championship gold medals in team and individual competition and currently flies for the French National Team at the Unlimited level. "Ever since I first saw the Red Bull Air Race, I was captivated, so to be a Challenger Class pilot is a dream come true," says Chiang. "The mental preparation is very similar to aerobatics, but the flying discipline is quite different - there will be a lot of work to do."?? Launched as a new element of the Red Bull Air Race in 2014, the Challenger Cup was conceived to help the next generation of pilots develop the skills needed for potential advancement to the Master Class that vies for the World Championship. While the focus is on learning, a key part of the Challengers' growth includes competition in real-world race conditions. So far, six Challenger pilots have earned a berth in the elite Master Class line-up.? ?The Challenger Class, as well as the Master Class; will kick off their eight-race calendar at the Red Bull Air Race season opener in Abu Dhabi on 10-11 February. The high demand for pilots, along with the Civil Aviation Authority of China's move to accommodate General Aviation as well as the infrastructure improvements seen in China, are leading to the establishment of a multitude of new flight schools and General Aviation companies. "We want to have the Archer readily available in China to answer those company's aircraft purchase needs," said Chen Li, Chairman of China Air Shuttle. "This aircraft's safety record, ease of maintenance and low acquisition and operating costs will be instrumental to the Archer's success in China". 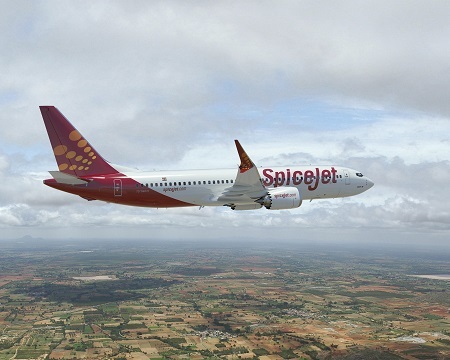 Boeing [NYSE: BA] and SpiceJet commitment for up to 205 airplanes during an event in New Delhi. Booked at the end of 2016, the announcement includes 100 new 737 MAX 8s, SpiceJet's current order for 42 MAXs, 13 additional 737 MAXs which were previously attributed to an unidentified customer on Boeing's Orders & Deliveries website, as well as purchase rights for 50 additional airplanes. The Boeing 737 class of aircraft has been the backbone of our fleet since SpiceJet began, with its high reliability, low operation economies and comfort," said Ajay Singh, Chairman and Managing Director, SpiceJet. "With the next generation of 737 and the 737 MAX we are sure that we can be competitive and grow profitably." The new airplane will deliver 20 percent lower fuel use than the first Next-Generation 737s and the lowest operating costs in its class - 8 percent per seat less than its nearest competitor. Sikorsky, a Lockheed Martin company, and its PZL Mielec affiliate will launch a two-month, 13-city tour across seven Caribbean and Latin American countries in early 2017 to demonstrate the short take-off and landing capabilities of the M28 twin turboprop airplane. Flight and ground demonstrations starting mid-March in Trinidad and Tobago will extend to Brazil, Argentina, Ecuador, Colombia, Panama and Mexico though mid-May. The tour will enable commercial operators, government agencies and militaries across the region to assess the performance of the 7,500 kg (16,500 lb.) Polish designed-and-built M28 airplane on short and underdeveloped runways - and how its 19-passenger cabin with clamshell rear door can be quickly converted for paratroop, cargo and casualty evacuation missions. With its high-lift wing, thrust-reversing propellers and two 1,100 shp (820 kW) Pratt & Whitney Canada PT6-65B turboprop engines the empty M28 aircraft can take off and land on rough airstrips just 345 meters (1,000 ft.) long. An M28 loaded with a 1,000 kg (2,204 lb.) payload offers a range of 1,592 km (860 nm) distance with safety reserve for 45 minutes of flight; two pilots can take off in the M28 with a full payload of either 19 seated passengers or a maximum 2,300 kg (5,000 lb) of cargo in just 548 meters (1,800 ft.) of runway length, for a range of over 450 kilometers (225 nm). The 148m3 (485 cu ft.) cabin can be outfitted with a removable roller floor, optional cargo hoist, and heavy cargo restraints to either para drop or load/unload cargo from the full-width aft door. "The M28 is a proven, tough airplane that doesn't need much support to keep flying," said Mariusz Kubryn, M28 chief designer. "It has the highest useful load in its class, and is often preferred to larger platforms because of its multi-mission flexibility and cost-effective performance." More than 100 M28 aircraft currently operate worldwide in both commercial and military configurations providing passenger transport, parachute training, border patrol and fisheries protection. The aircraft is certified by Brazil's ANAC, and by EASA and the FAA. The U.S. Air Force has used the C-145A variant for air cargo missions for deployed troops in Afghanistan. The Board of Directors of Marenco Swisshelicopter AG (MSH) has agreed with Martin Stucki on December 5, 2016, that he will retire from his functions at MSH. Together they have appointed Andreas Loewenstein as new CEO effective January 1, 2017. Bruno Gubser, Chief Operating Officer, will assume his responsibilities ad interim. The Board of Directors expressed its gratitude to Martin Stucki for his visionary ideas, relentless efforts and entrepreneurial spirit that led MSH from a most respected engineering bureau to the brink of becoming a full-fledged player in the helicopter industry. In his role, Martin Stucki has brought significant contributions to the helicopter industry in Switzerland. The Board of Directors is convinced that Andreas Loewenstein together with the MSH management and employees will accelerate the transition from a technology pioneer to the first Swiss global helicopter provider and manufacturer. The Board of Directors confirmed MSH's commitment to its Swiss roots and will even more strive to expand the business activities in Switzerland and in particular at those Swiss locations, where MSH has engaged in the construction of its new facilities. Andreas Loewenstein has 25 years of experience in business development and strategy in the European helicopter and high-tech industries, as an Executive at Aerospatiale, EADS (today Airbus Group) and Eurocopter (today Airbus Helicopters). 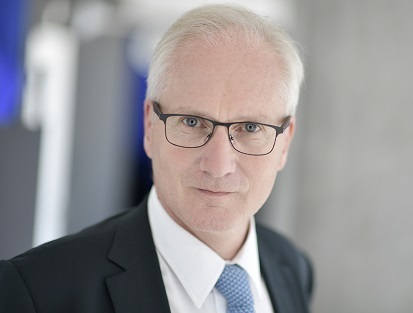 Since 2010, he is Executive Vice President Strategy Partnership and Innovation (CTO) and a member of the management Board of DCNS, the European leader in naval defence and major player in marine renewable energy based in Paris. Andreas Loewenstein graduated in law at the Friedrich-Wilhelm Universität Bonn, Germany and earned a Master of Laws (LL.M.) in Air & Space Law and Economics at McGill University, Canada and he holds an MBA from HEC (France). He is trilingual in German, French and English. USA, Rochester: A Fedex Boeing 757-200 on a freight flight from Memphis to Rochester was descending towards Rochester when the crew received a cargo smoke indication. The aircraft continued for a safe landing. There was concern because the aircraft carried a load of Lithium batteries. An extensive inspection of the cargo bay however did not reveal any evidence of fire, heat or smoke. Netherlands, Amsterdam: A Singapore Airlines Cargo Boeing 747-400 freighter, registration departing from Amsterdam to Sharjah (United Arab Emirates), was climbing out of Amsterdam's runway 24 when the crew stopped the climb at FL150 reporting they had shut their outboard left engine as a precaution and were preparing to return to Amsterdam. The aircraft dumped fuel and landed safely back on Amsterdam's runway 27 about 70 minutes after departure. China, Hong Kong: An Etihad Airbus A330-200, on a flight from Hong Kong to Abu Dhabi (United Arab Emirates), was climbing out of Hong Kong's runway 07R when the crew stopped the climb at 7000 feet reporting they had a flaps control issue but requested to continue along the standard instrument departure route. The aircraft subsequently entered a hold at 9000 feet, the crew ultimately decided to return to Hong Kong. The aircraft burned off fuel and landed safely back on Hong Kong's runway 07R about 4:45 hours after departure. Jules Charles Toussaint Védrines (1881-1919) was an early French aviator, notable for being the first pilot to fly at more than 100 mph and for winning the Gordon Bennett Trophy race in 1912. Védrines was born in Paris and was raised in the tough back alleys of the city. He started his working life as a apprentice at the Gnome engine manufacturing company. In 1910 he spent six months in England as Robert Loraine's mechanic and on return enrolled at the Blériot Flying School where on 7 December 1910 he became the 312th French Citizen to be awarded a pilot's license. By the end of 1912 Védrines was recognised as one of the most accomplished pilots in aviation. In 1911 he had won the Paris to Madrid air race flying a Morane-Borel monoplane. Later the same year he finished second in the Circuit of Britain race and third in the Circuit of Europe race. In 1912 flying a Deperdussin Racing Monoplane he was the first person to fly an aircraft at more than 100 mph (160 km/h) and he also won the Gordon Bennett Trophy race. During WWI he was posted to the French 6th Army flying reconnaissance and clandestine missions in his Blériot XXXVI bis. By wars end he had flown over 1,000 hours. On 19 Jan 1919 he succeeded in landing a Caudron G.3 on the roof of the Galeries Lafayette department store in Paris, winning a 25,000 franc prize which had been offered before the war. On 19 January 1919 in order to claim a FF25,000 prize Védrines landed his a Cauldron G-3 on the 92 feet (28 metres) x 39 feet (12 metres) roof of a department store in Paris. The Caudron was damaged beyond repair. Védrines suffered some non-life threatening injuries. Three months later, on 21 April 1919, he was killed when attempting to fly a Caudron C.23 from Villacoublay to Rome. After an engine failed he attempted a forced landing but crashed near St Rambert d'Albon near Lyon killing himself and his mechanic Guillain.